Does the thought of a refreshing dip to start your morning or to cool off by after a busy day sightseeing, fill you with delight? 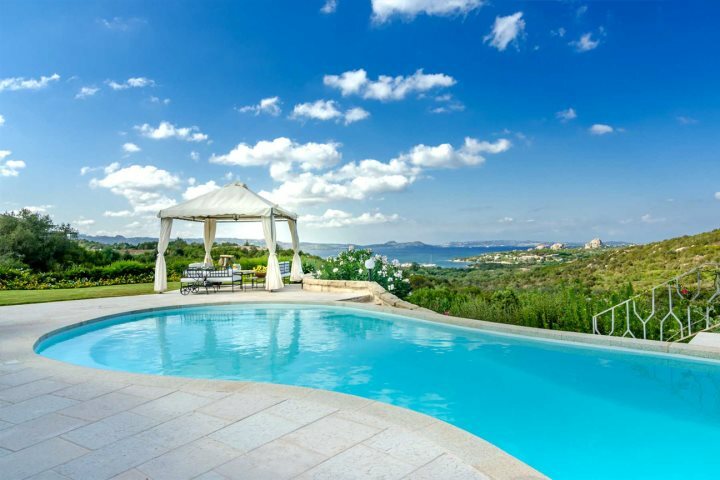 The Sardinian villas and hotels in our collection have some wonderful swimming pools, from infinity pools with stunning views and romantic plunge pools, to family-friendly pools – take your pick! 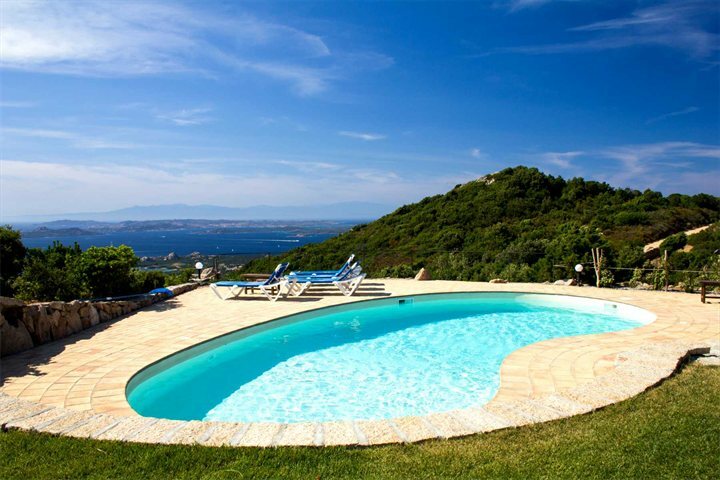 Offering a high standard of accommodation, this lovely villa overlooks the stunning gulf of Cannigione, as does its impressive private swimming pool. With a shady gazebo, plenty of space for sunloungers and a beautiful garden, we can’t imagine a better location for a spot of R&R than Villa Girola. 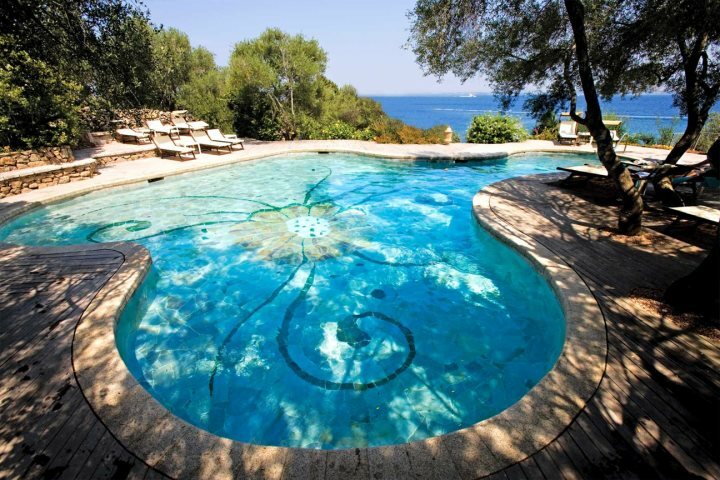 If you prefer hotel accommodation, you won’t find one more enchanting than Villa Las Tronas in Alghero. The hotel, and its pool, sit on a natural peninsula, and the panoramic views across the sparkling Mediterranean are quite literally breathtaking. 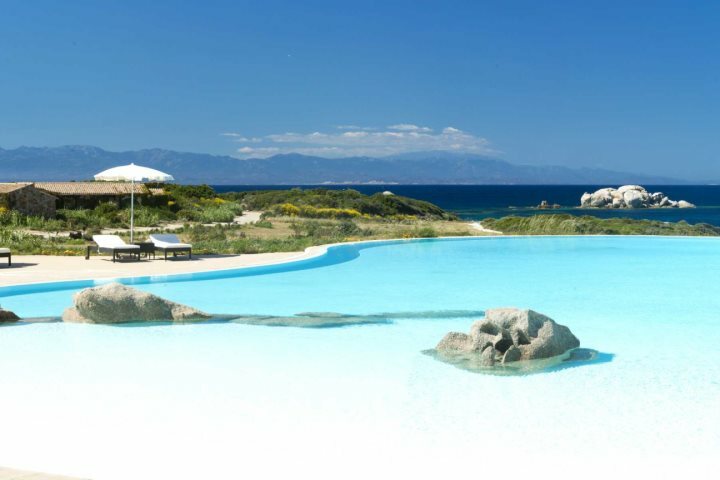 Nestled in the lush gardens of this typical Sardinian hotel, a large free-form swimming pool is a great draw for all the family, with a children’s area and, for the adults, a hydro massage corner and a poolside bar. 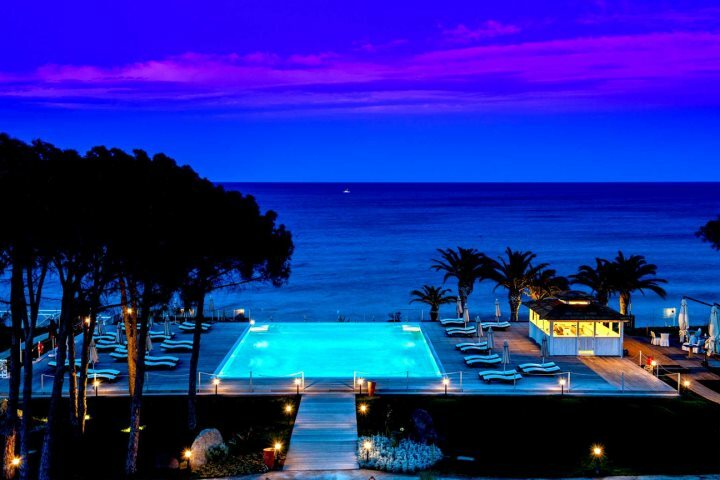 What is more, the hotel’s meandering terraces and lawns lead down to the white sands of Marinella Beach. A dip in the sea or a swim in the pool, at Hotel Abi d'Oru the choice is yours. New to our programme this year, Villa Monica and its large, private, flood-lit swimming pool, is set in lush green lawns with a view across fields and gently rolling hills. You’ll feel as if the rest of the world is a million miles away (yet the nearest restaurant is just a 200m stroll from your door). 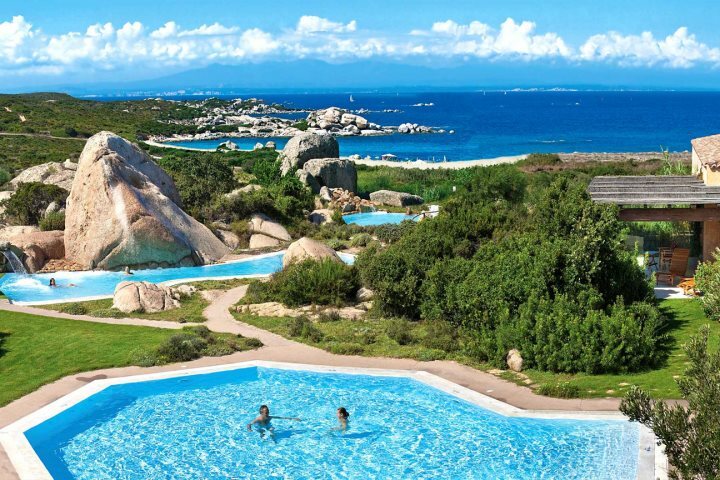 This is a pool with the ‘Wow!’ factor, an enormous seawater pool with mesmerising views of the sea and La Maddalena Islands. 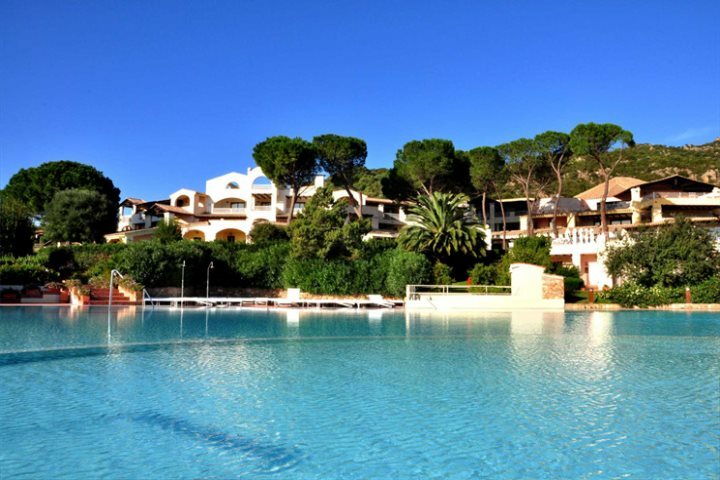 With a separate children’s pool, Cala di Lepre is popular with families and couples alike. 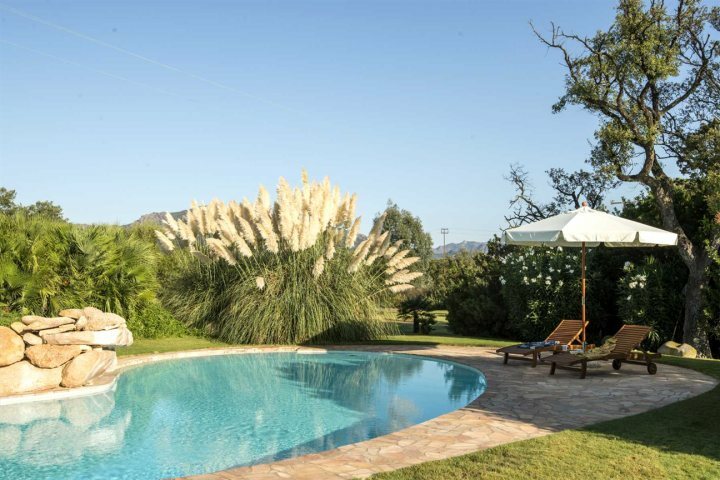 In the lesser-known, but equally lovely, south of the island, Casa Querce boosts a beautiful private pool, set in a lush landscape of sweeping lawns and gardens with pampas grasses, oleander, holm oak trees and mature lentisco. The pool gets the sun all day but there is also plenty of shade if that is your preference. 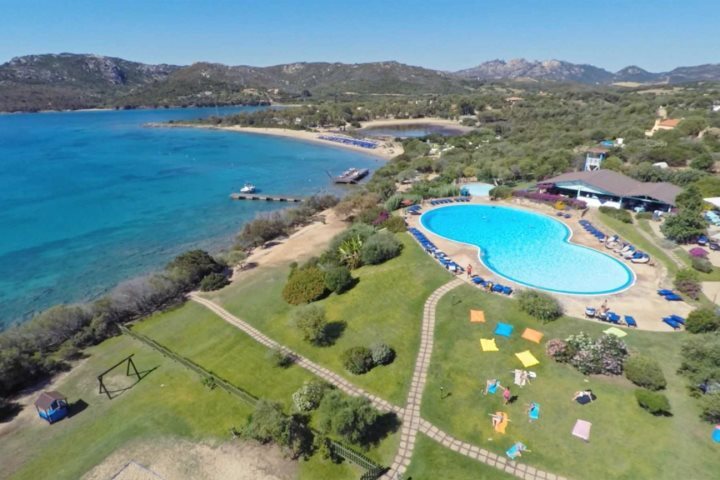 With a fabulous freshwater pool, overlooking the sea and the archipelago of La Maddalena and a separate children’s pool, Valle dell'Erica is popular with both families and couples. 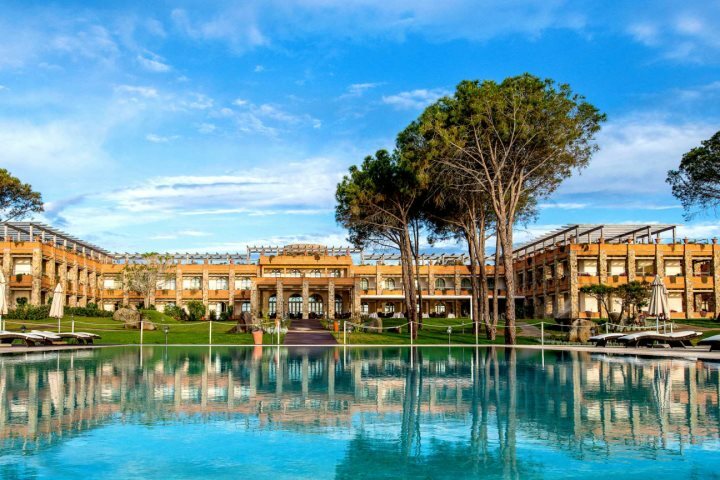 The Thalasso and spa centre, ‘Le Thermae’, offers a further four outdoor pools, while the hotel within the hotel, La Licciola, has a seawater pool exclusively for guests over 6 years old. This stylish, adults-only five-star hotel boasts a stunning infinity pool which seamlessly blends into the blue of the shimmering ocean. If romance and luxury are the order of the day, then La Vill adel Rei is the perfect place for an indulgent escape. This traditional villa enjoys one of the finest sea views imaginable from its elevated position some 300m above sea level. 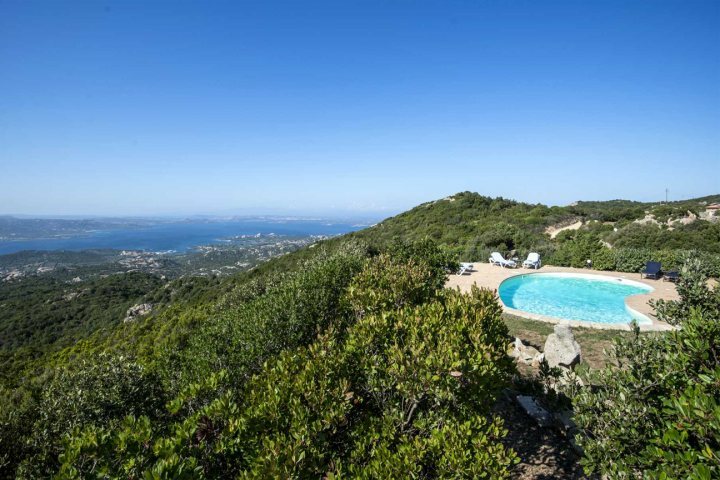 The views from the gardens and pool of Villa Montemoro stretch out across the landscape for miles around, encompassing the Costa Smeralda on one side, to the Gulf of Arzachena, the islands of La Maddalena and as far as Corsica on the other side. 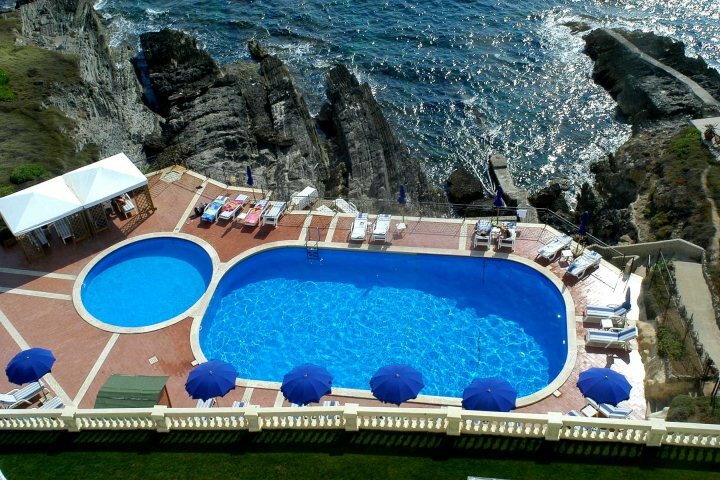 In an unspoilt corner of the island, the Hotel Capo d’Orso has a lovely free-form seawater pool surrounded by shady pine trees. 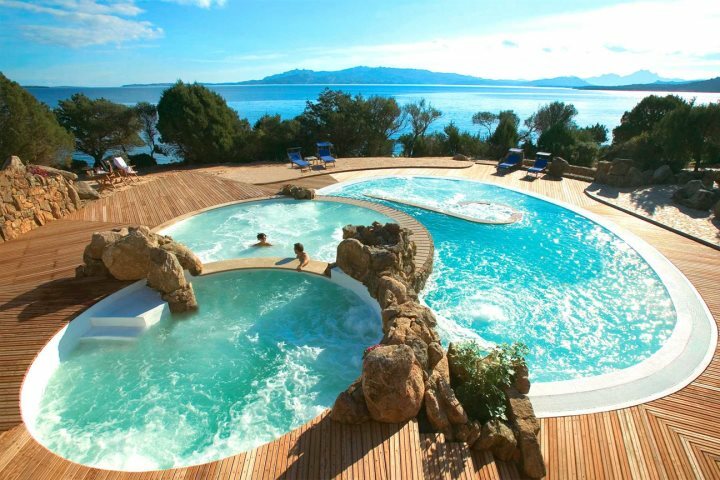 The resort's pièce de résistance, however, has to be the three-tiered pool in the Thalasso centre, with seawater heated to different temperatures and hydromassage water-jets, not to mention the panoramic views across the islands of La Maddalena.